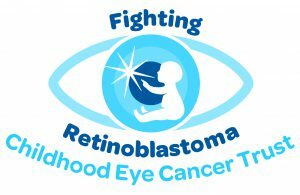 The Childhood Eye Cancer Trust has been a registered charity since 1987 and was formerly known as The Retinoblastoma Society. To provide information and support to individuals and families with Retinoblastoma. To raise awareness of Retinoblastoma. To raise funds for research. Challenging the way in which healthcare is delivered in order to derive optimum service delivery for patients. Funding research projects to extend the boundaries of knowledge. Helping those affected by retinoblastoma by providing support and information, access to a self-help network and links to other related organisations. Educating health professionals and others about retinoblastoma and the implications for genetics and other cancers through awareness raising campaigns, literature and training. Caring for the individual and providing services tailored to their needs at different life-change stages. Transforming public perception of eye cancer in children, to raise awareness and take away the fear.